Prime Minister Narendra Modi said on Monday the logic of the Indo-US strategic ties is "incontrovertible" and the two countries have an overriding interest in securing the world from terrorism, radical ideologies and non-traditional security threats. Modi, in an oped published in the Wall Street Journal, wrote that the US and India are forging a deeper and stronger partnership that extends far beyond the Beltway and the Raisina Hill. The Beltway refers to Interstate 495, a circumferential highway that encircles Washington, DC. The Raisina Hill is the seat of the Government of India in New Delhi. In an uncertain global economic landscape, India and the US stand as mutually reinforcing engines of growth and innovation, he said ahead of his maiden meeting with US President Donald Trump. He recalled his visit to Washington last June and his address to a joint session of the US Congress, where he said that the relationship between India and America had overcome the "hesitations of history". "A year later, I return to the US confident in the growing convergence between our two nations," he said. "This confidence stems from the strength of our shared values and the stability of our systems. Our people and institutions have steadfastly viewed democratic change as an instrument for renewal and resurgence," he said. Modi said the confidence in each other's political values and a strong belief in each other's prosperity has led to greater engagements between the two countries. "A new layer in our engagement is our partnership for global good," the Prime Minister said. "Whenever India and the US work together, the world reaps the benefits," he said, citing the collaborative efforts in areas like developing affordable vaccines for rotavirus or dengue, establishing norms for cyberspace, providing humanitarian assistance and disaster relief in the Indo-Pacific region and training peacekeepers in Africa. "The logic of our strategic relationship is incontrovertible," Modi said while noting that defence was an area of mutually beneficial cooperation. Both India and the US have an overriding interest in securing the two countries' societies and the world from the forces of terrorism, radical ideologies and non-traditional security threats, he said. India, which has four decades' experience in fighting terrorism, shares the Trump administration's determination to defeat this scourge, the Prime Minister said. "We are already working together to address the existing and emerging strategic and security challenges that affect both our nations — in Afghanistan, West Asia, the large maritime space of the Indo-Pacific, the new and unanticipated threats in cyberspace. "We also share an interest in ensuring that sea lanes — critical lifelines of trade and energy — remain secure and open to all," Modi said in an apparent reference to China's flexing of its muscles in the South China Sea. China says nearly the entire South China Sea falls within its territory, with half a dozen other countries like Brunei, Malaysia, the Philippines, Taiwan and Vietnam maintaining partially overlapping claims. China has built a series of artificial islands on reefs and rocks in attempt to bolster its position, complete with military-length airstrips and anti-aircraft weapons. The strategic South China Sea is rich in energy reserves, fishery resources and is a busy shipping route. Referring to the bilateral trade, Modi said that the two way trade, which already totals about $115 billion a year, is poised for a multi-fold increase. Indian companies are adding value to the manufacturing and services sectors in the US, with total investments of approximately $15 billion and a presence in more than 35 states, including in the Rust Belt of America. American companies have likewise fuelled their global growth by investing more than $20 billion in India, he said in the oped. 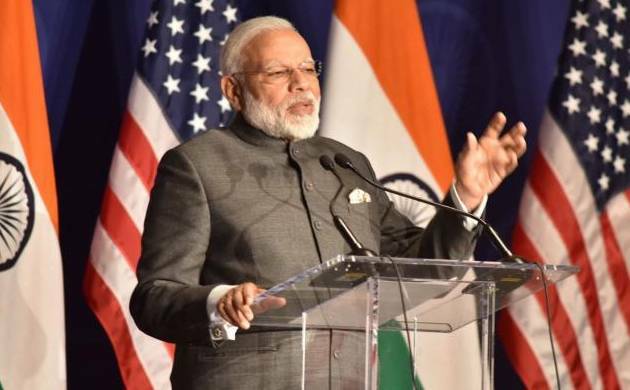 The transformation of India presents abundant commercial and investment opportunities for American businesses, the prime minister said while citing the roll out of the Goods and Services Tax on July 1. He said the GST will, in a single stroke, convert India into a unified, continent-sized market of 1.3 billion people. The planned 100 smart cities, the massive modernisation of ports, airports, and road and rail networks, and the construction of affordable housing for all by 2022, are not just promises of great urban renewal within India but also of new employment opportunities for the two societies. India's rapidly expanding aviation needs, and increasing demand for gas, nuclear, clean coal and renewables, are two significant areas of increasing convergence. In the coming years, Indian companies will import energy in excess of $40 billion from the US, and more than 200 American-made aircraft will join the private Indian aviation fleet, Modi said. The combination of technology, innovation and skilled workers has helped forge an exciting digital and scientific partnership between the two countries, the Prime Minister said.